Alright, so this is the one where I blow my credibility with a bunch of you: I love metal music. I’m not an expert, a connoisseur, or even an amateur. I’m just a fan. Still, I love the speed, the ferocity, the heaviness, and the creativity involved with the genre and its multiple sub-genres. Now, when I learned of that the band had lost bassist and frontman, Jason Wisdom, I was worried both that the music and the message would suffer a drop-off in sound as well as theological content. (He left when his wife became pregnant. Something about wanting to be a good dad or something.) With release of their 5th full-length studio album I AM, my fears were assuaged. In terms of sound, Christ McCane’s vocals come through loud, low, and aggressive. The clean vocals shine at times and at times, not so much. Overall, very solid. 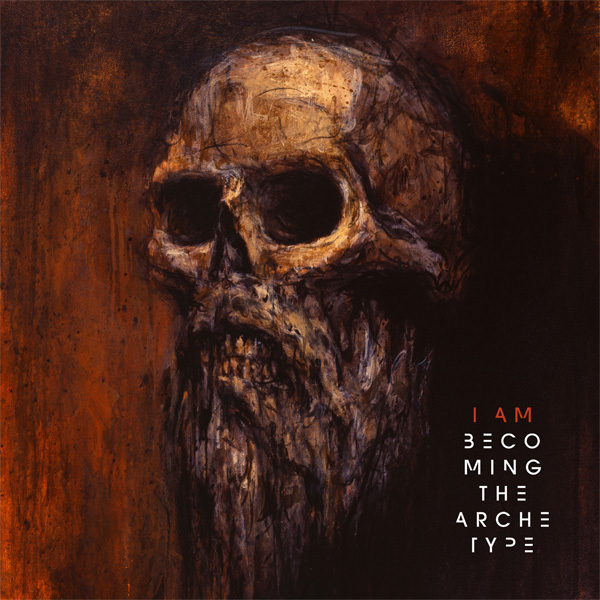 There are quite a few good technical riffs, (the opening of the title track “I AM” comes to mind), solid drumming, a few good bass-lines, and a number of heavy break-downs, even though they’ve backed off a bit from other albums. Continuing the trend off of their last album Celestial Completion, they’ve continued to place increasing focus on progressive elements. Still, it regains some of the speed, heaviness, and aggression of Dichotomy. It’s a solid metal album. The more I listen to it, the more pleased I am. My face is quite sufficiently melted. This is not the main reason I am excited by this album. What I love most is the theological ambition driving the sound. With I AM Becoming the Archetype has attempted to do something many academic theologians no longer try: say something substantial about God. In the Old Testament God reveals himself to Moses in the burning bush as the great “I AM that I AM” (Exod. 3:14), or simply “I AM” (Yahweh). This is his specific covenant name by which Israel was to call him. In Isaiah, specifically 40-55, a section that draws on Exodus themes of liberation and redemption, God repeatedly emphasizes that “I am” the one who will redeem Israel. (Isa. 41:4; 43:25; 47:10; 48:12; 51:12) In the NT we find Jesus taking up the divine self-designation in the book of John with its seven famous “I am” (ego eimi) statements. Using prominent OT images of salvation he declares himself to be the bread of God (6:33), the bread of life (6:35), the light of the world (8:12), the gate for the sheep (10:7), the resurrection and the life (11:25), the way, the truth, and the life (14:6), and the true vine (15:1). Each of these predicates symbolize some aspect or form of the salvation that Jesus brings or in fact is. The metal epicness is almost too much to bear. What I do love is that song after song we see some attribute or action of God’s, whether eternity, the act of creation, judgment, or consummation, being defined through the Son. Ending on a truly Johannine note, the refrain of the title song simply states, “I AM THAT I AM/I AND THE FATHER ARE ONE.” We know God in and through Jesus Christ or not at all. To sum up: if you like metal, or Jesus, check out the album. Prepare for theology and epicness. Check out the first single, “The Time Bender” below. Well said! I’m impressed with your love of metal (and whiskey). We should compare notes sometime. Speaking of great metal, are you familiar with Times of Grace? Otherwise known as Adam D. and Jesse doing Killswitch w/o the rest of the band? Yes. Good album. It makes me excited for the new KSE album coming out now that Jesse’s back. Don’t get me wrong, I love Howard, but I think this will be good. Hey, just washed up on your blog and looked around. Good stuff! Anyway, I’m in the same camp here. A lot of profound things in metal done by Christians. Though I tend to power/prog metal, you ever hear of War of Ages? They’ve just been getting better and a lot of reality in their music. Thanks for dropping! Ah, yes, I’ve heard of War of Ages but never gave them much time because the earlier stuff sounded kinda generic. Solid, but not interesting enough to drop 10 bucks on. I’ll have to go back and give it a shot, though. I would recommend an old Tourniquet song called “Sola Christus” if you’re not already familiar with it.